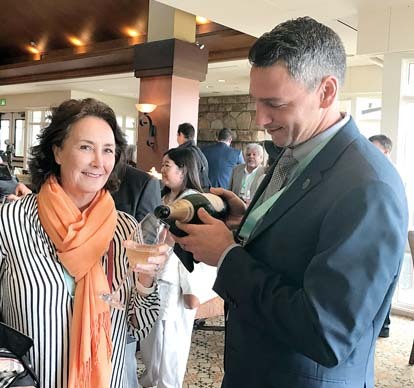 Held on the Monterey Peninsula of California April 11 to 14, it coincides with Pebble Beach Resort’s year-long centennial. PBFW features 100 of the world’s top celebrity chefs and 250 acclaimed winemakers who will dazzle in the middle of John Steinbeck country’s spectacular central California coastline. 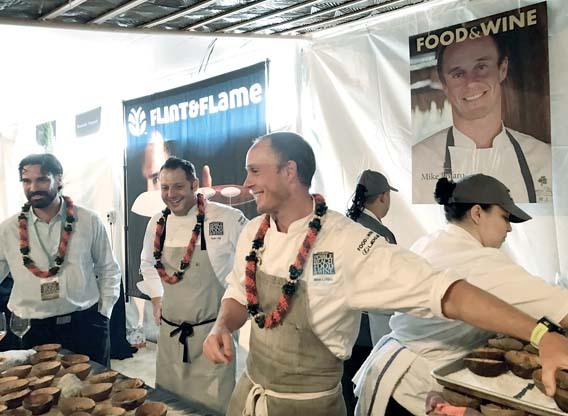 Wailea chefs are invited to appear again along with the creme de la creme of the food and wine world at some of the most original dining experiences on the planet. 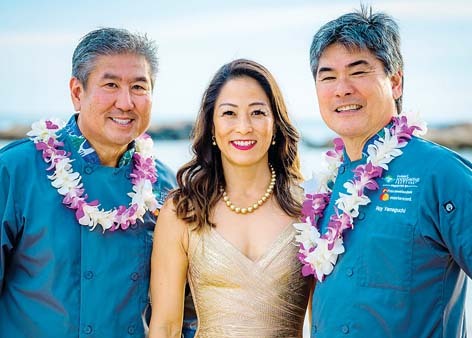 Joining legends such as Jeremiah Tower, dubbed “the last magnificent,” Masaharu Morimoto, Dean Fearing and many more will be the chefs from Grand Wailea, A Waldorf Astoria Resort, Sheldon Simeon of Lineage at The Shops at Wailea and Roy Yamaguchi of Humble Market Kitchin in Wailea. “I always get very excited when I have a chance to showcase this place we are all lucky enough to call home,” enthuses Mike Lofaro, Grand Wailea executive sous chef. 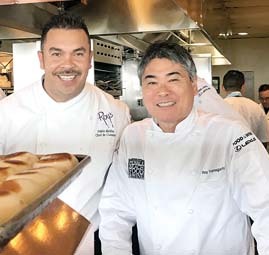 Lofaro will first appear April 12 with the Grand Wailea Hawaiian Cultural Ambassador Kainoa Horcajo at the Future of Hawaiian Cuisine Power Lunch held at Yamaguchi’s Roy’s at Pebble Beach restaurant at the Inn at Spanish Bay. For the uninitiated, Yamaguchi is a James Beard Award-winning chef, one of only three in Hawaii, and he owns many restaurants far and wide. Simeon of “Top Chef” fame will also appear. His Lineage, was recently nominated as a semi-finalist for Best New Restaurant in America by noted James Beard Foundation panelists. “It seems that with the explosion of the culinary scene, from TV shows galore and more celebrity chefs every day, regional cuisines around the world are getting reinvented and reimagined,” says Horcajo, who will be co-emcee at the Future of Hawaiian Cuisine along with Maui Sommelier Yeshua Goodman. Horcajo knows all about culinary TV shows. He co-starred with Lofaro in “Search Hawaii: Where Food Meets Culture,” which won an Emmy Award. The Future of Hawaiian Cuisine will let hungry Mainlanders take a day trip to Maui without ever leaving California. “My role in this Hawaiian power lunch is to serve as a co-emcee alongside another Maui boy, Yeshua Goodman, also the sommelier for this event, selecting perfect wine pairings to complement each dish. In addition, I get to work with the chefs and the PBFW design team to touch every sense, from Hawaiian music to decor, and share our love of this aina with all in attendance,” adds Horcajo. 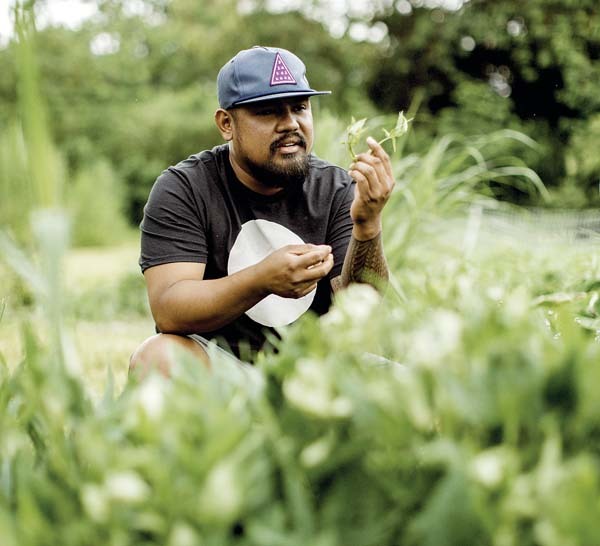 Yes, the Future of Hawaiian Cuisine will be all about the moku, or island, of Maui and the ahupua’a that encompasses Wailea. The two-time “Top Chef” finalist and Fan Favorite, Simeon also says that his big takeaway from his conversation with Chef Roy is that he wants everyone to shine and do what he does best. 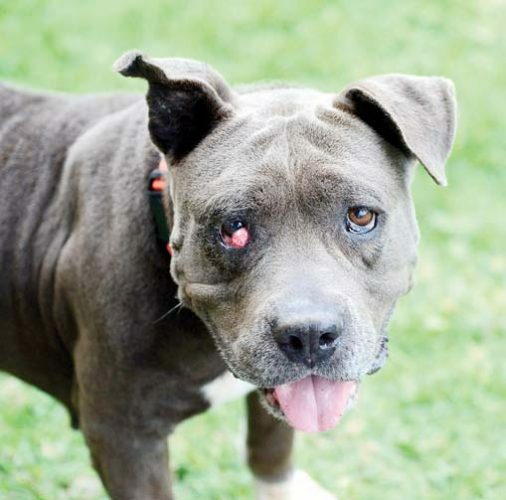 “Chef Roy is not putting many restrictions or guidelines in place. We are busy working on menu items, and I will definitely be featuring duck,” adds Simeon. Besides appearing at Roy’s during the festival, these chefs will cook at Lexus Grand Tasting from noon to 3 p.m. April 14. “The Lexus Grand Tastings are among the weekend’s most spectacular events with more than 300 wines from world-renowned producers to the ‘who’s who’ list of 30 top celebrity chefs all featuring exclusive tastes of their best dishes,” says David Bernahl, event founder and CEO of Coastal Luxury Management that produces the event. Kosta Browne Winery of Sonoma did a dinner at Grand Wailea in 2018 and then invited the chefs to cook in California in January. Winemaker Nico Cueva will be featured at a PBFW seminar. 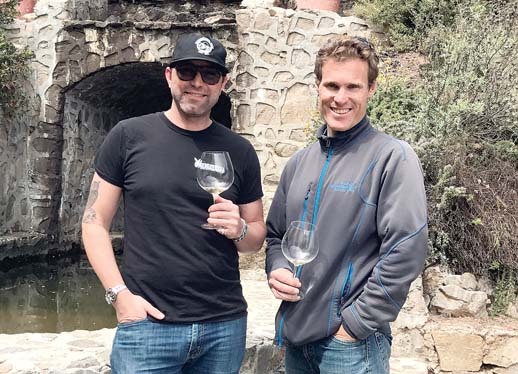 “We are thrilled to be pouring Kosta Browne again this year at Pebble Beach Food and Wine alongside great friend, Chef Mike Lofaro, and his team from the Grand Wailea,” Cueva emails The Maui News. “Over the past year it has been an honor to work with Chef Mike on our ‘Shore to Shore’ mini-documentary that took us from the shores of Maui to the Sonoma Coast. The film captured our journey of foraging ingredients, sustainable winegrowing, and trying to leave each place a little better than the way we found it. 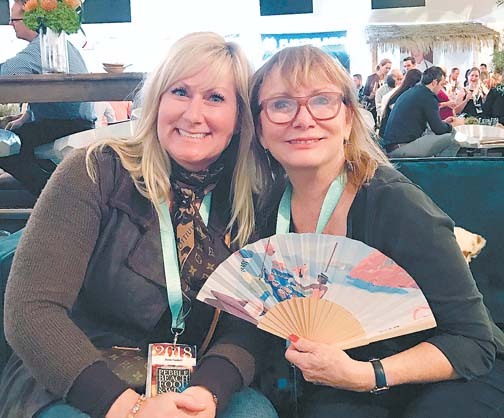 Looking forward to more killer food and wine back in Maui this summer at ‘Fire it Up’ (three-day festival July 19 to 21 at Grand Wailea)– until then, eat well and drink pinot,” says Cueva. Celebrated Chef Dean Fearing also has Maui ties. 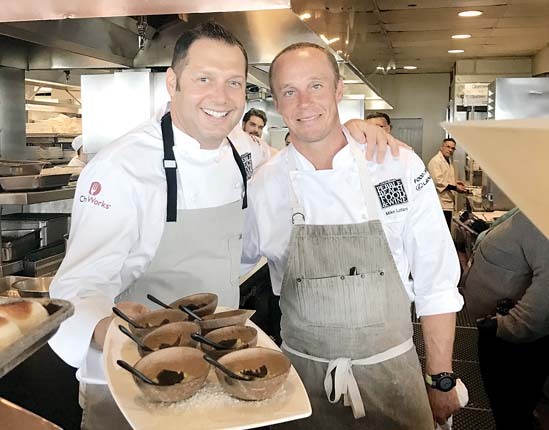 In fact, he snagged former Grand Wailea executive sous chef Jorge Gonzalez last year to Fearing’s at The Ritz-Carlton, Dallas, when his top culinary man jumped ship to be the personal chef for Oprah. “Jorge is great and doing well,” emails the famous Father of Southwestern Cuisine, who will appear at PBFW and at the Hawaii Food & Wine Festival in October. “Pebble Beach is a great event in the most beautiful setting! The food is outstanding from great chefs from all over and the wines are over the top. It’s a special time for me to catch up with old chef friends,” adds Fearing. “We’ve seen the connection for years. Some of the best chefs have been involved for a decade,” he emails. Pebble Beach Food & Wine still has tickets available and there are four package options to make it easier on the pocketbook, if you would like to attend multiple events over the four-day festival. “Pebble Beach is truly such a stunningly gorgeous place, there’s so much great talent — and it’s a whirlwind of food, wine and fun,” concludes Bernahl. * Dining Editor Carla Tracy can be reached at carlatracy@mauinews.com. • What: The 12th annual Pebble Beach Food & Wine will transpire April 11 to 14 near Monterey, Calif. with venues spread throughout various locations. 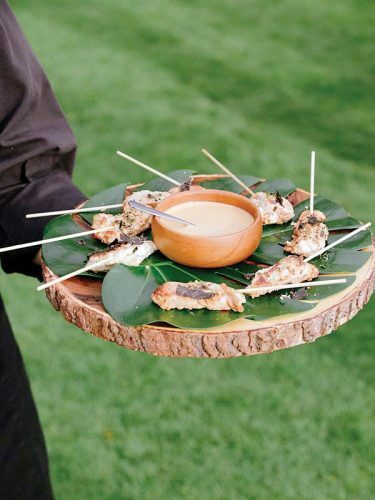 • Highlights: The Future of Hawaiian Cuisine with Wailea chefs, Gone Fishin’ seminars with Masaharu Morimoto, who owns a Wailea restaurant, celebrity chef golf tourney, wine dinners and tastings, Wonder Women, Jeremiah Tower fireside chat and Lexus Grand Tasting. • For tickets: Visit www.pbfw.com. 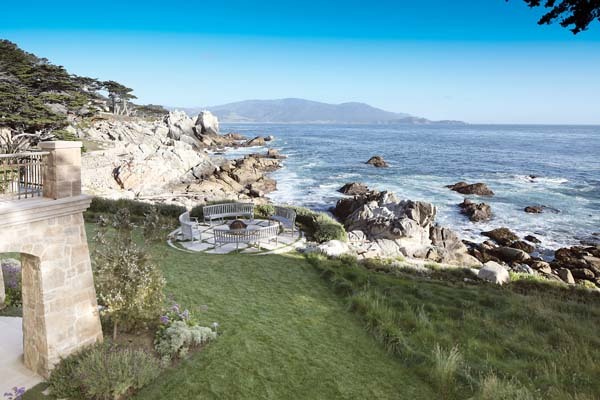 For more details on accommodations, visit www.pebblebeach.com.